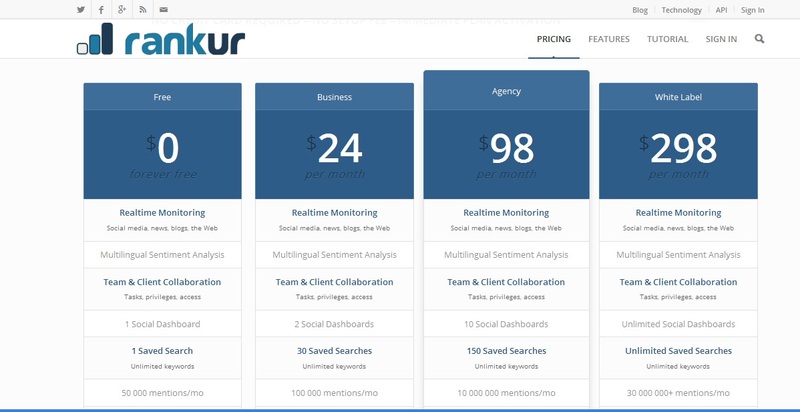 Rankur is a software for online reputation management, social media monitoring, social media management and team collaboration. All you need to start using it is choose your plan, sign up in a few seconds and launch your first online search! The plan can be adjusted later too. We’d advise you trying out our full features, then decide what you really need. Step 3: Filters (optional) – select sources, choose countries, languages or exclude some websites or Twitter profiles from the sources. Use as few filters as possible to avoid overrestriction of search results. • Click Finish and Rankur will load your data in a few minutes. Now click on the saved search and explore the list of mentions, dashboard, topics, reports and more!